Matt Nelson was preparing for a river rafting trip and needed a tarp. Not letting the college student budget hinder adventure, he took matters into his own hands and crafted a custom tarp within Idaho State University’s arts and crafts center. Not only did the custom tarp suit his budget, he was able to tailor a tarp that met his needs with the perfect size and unique style. The tarp worked beautifully and subsequently caught the eye of a friend who offered to buy it from him. Soon after, Matt was taking requests for custom tarps and learning how to improve products along the way. He made a tarp for someone headed to raft the Grand Canyon, which ended up not being quite big enough. This moment was when it became clear that there was an untapped market for tarps that were large, functional, packable and durable to take on river trips and other outdoor adventures. Dragon Fly Tarps, based in Arco, Idaho, offers one of the largest tarps available for white water outfitters. Their tarps are built with Polyurethane coated ripstop nylon, a water-resistant fabric made by using a special reinforcing weaving technique, which attributes to the durable, lightweight and flexible structure. Built with river runners in mind, Dragon Fly Tarps can be held up by oars or poles and use straps instead of ropes. These specifications give customers the advantage of packing less gear and using essential items, like oars, for more than one function. 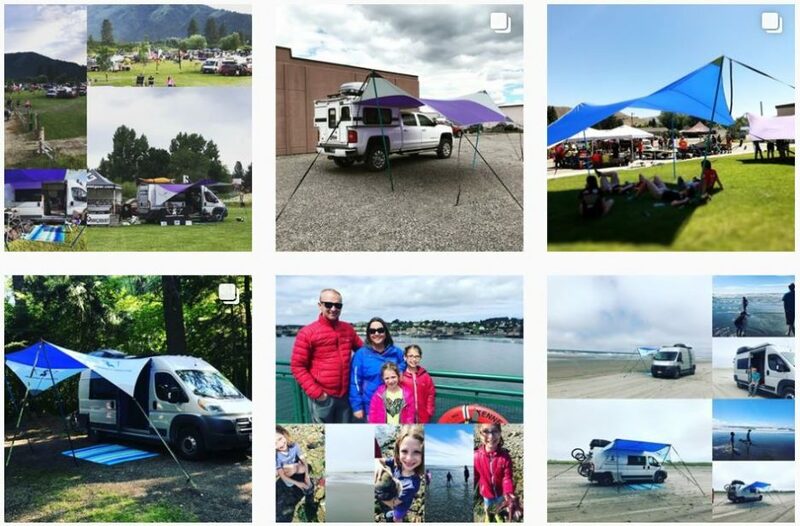 Recently, their product lineup expanded to include tarps exclusive to camper vans for those living the #vanlife. Matt and his wife are both teachers during the day and work in collaboration with one additional employee – a seamstress – to fulfill orders for Dragon Fly Tarps outside of school hours. They enjoy taking their kids to explore Idaho’s hot springs and rivers, and never head out to explore without a Dragon Fly Tarp in hand. The Nelson’s are proud to offer products that are created and Tested in Idaho.